Kennedy, 24 spent three seasons at Collingwood where he played 25 games after being picked with selection 19 in the 2012 National Draft. He crossed to Melbourne in 2016 and played a further 15 games, with his time with Melbourne coming to an end in 2017. 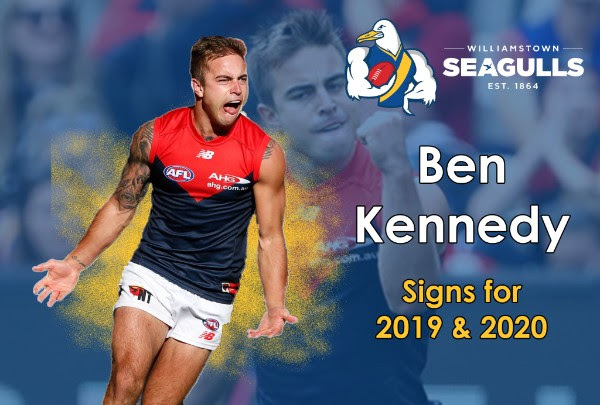 This season Kennedy played with Montmorency in the Northern Football League where he was named in the Team of the Year following a stellar year at community level.